Patients and methods: An open observational study lasting 1 month was conducted on 2,363 patients who had undergone various dermatological procedures. This study was conducted in eight European countries and an Asian country during which the tolerance and efficacy of a cosmetic cream based on Rhealba oat plantlets’ extract, l-ALA–l-GLU dipeptide, and hyaluronic acid were assessed on patients’ wounds. Results: Efficacy was observed 5′ after the first application, which leads to an immediate relief, confirmed by the overall efficacy judged by the doctors as good or very good in 96.8% of the cases. In Germany, the efficacy of the same cream was assessed on children suffering from first- or second-degree burns. 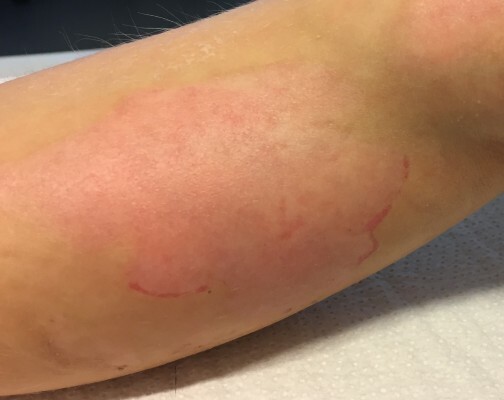 In this dermatopediatric case, the aim was to support the regeneration process and prevent scarring by using a topical cream rather than a silicon bandage or corticosteroids. A positive effect on skin regeneration and prevention of scaring could already be observed after 4 weeks of application without any undesired complication. Conclusion: This clinical focus complements the previous meta-analysis by demonstrating that the tested cream containing Rhealba oat plantlets’ extracts, l-ALA–l-GLU dipeptide, and hyaluronic acid could also be used with a great efficacy in children after thermal burns to prevent scaring.